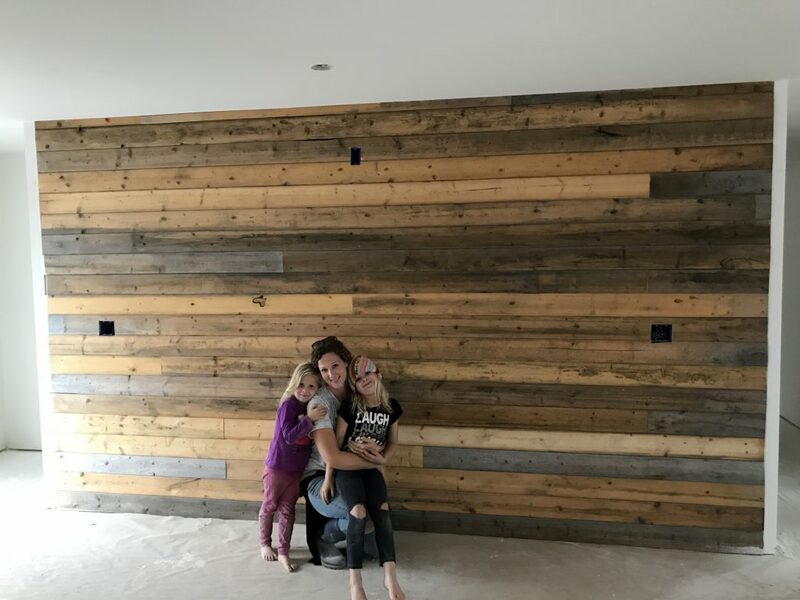 Well, the re-purposed shiplap wall is done! 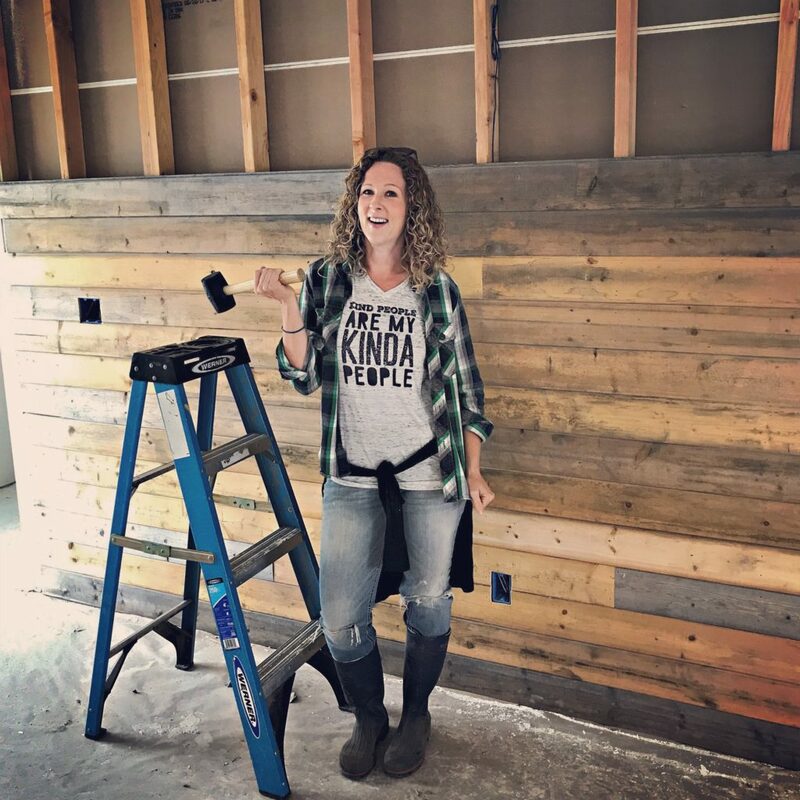 I thought I’d give ya’ll a little update and explain a bit about how we (well, really it was my husband) completed this project. 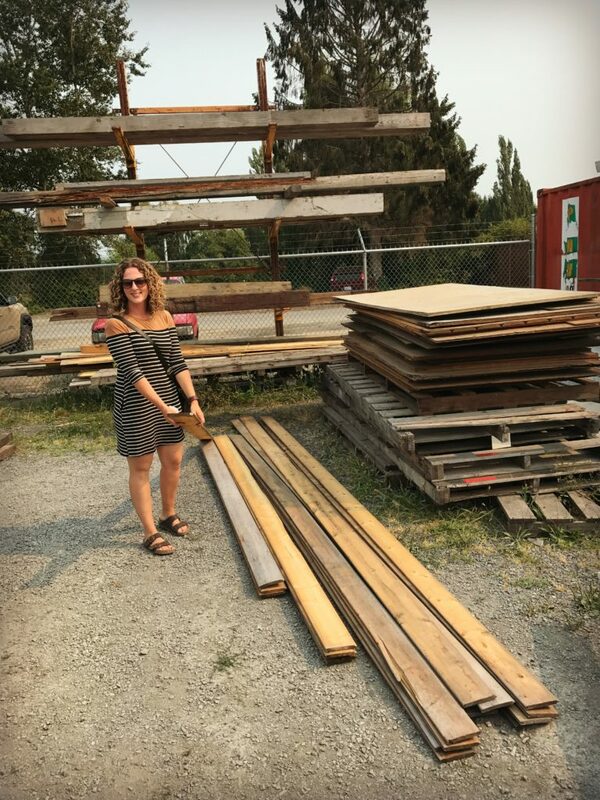 First of all, remember this old shiplap we found on our date to Skagit Salvage? Well, my Dad, the man who built the house I grew up in, wanted to make sure I know it’s actually old tongue and groove….whatever. To me, it’s gorgeous and that’s all that matters. So, call it what you like! Here’s the “before” photo. What a happy girl I was when we found this! For 100 reasons, I am so thankful for the way my hubby tackled this project. The measurements needed to be precise, because we had the exact amount of wood needed, no more. We needed to cut around where the outlets would go and where the smoke alarm will be at the top. There was a lot of careful cuts that went into this. 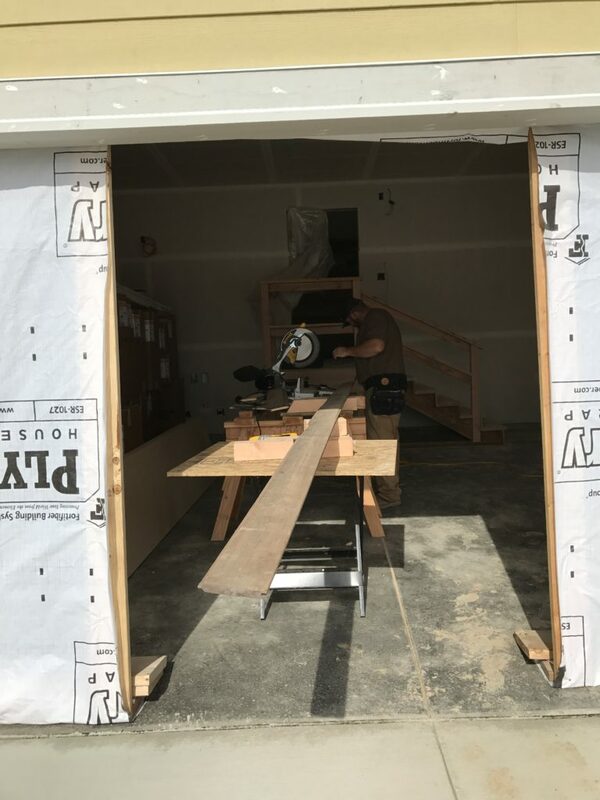 The saws he used were a Miter Saw for cutting the boards to length, a table saw for ripping the boards to finish the last row at the top and a jig saw to cut around the outlets. Without all 3 of those saws, this project wouldn’t of turned out. I told him he’d better watch out because he did this project so well, I’m going to think up about 100 more for him! The boards we bought were a variety of lengths and they all needed to be nailed to studs for the wall to be sturdy. 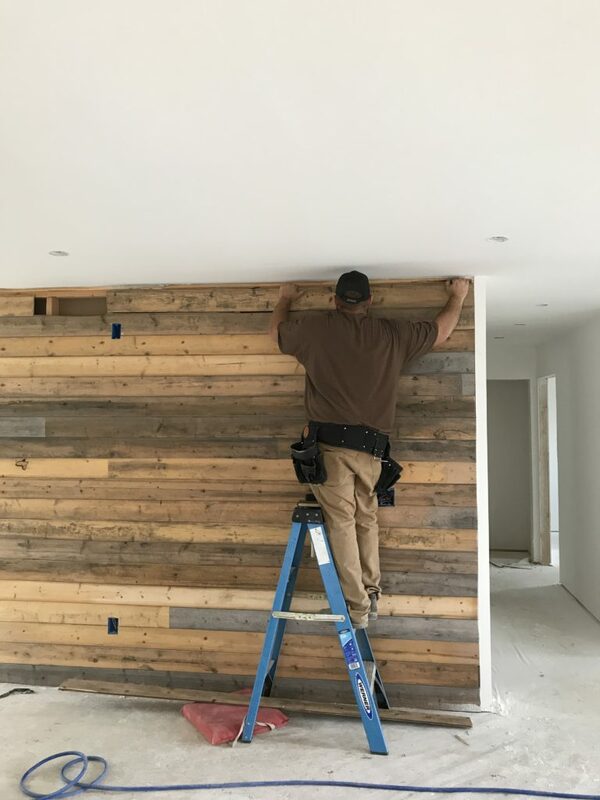 Before he started cutting and nailing them, he drew it all out on paper to make sure the cuts would be correct and to double check that the wall would look alright. A Brad Nailer is perfect for this type of project. The nail holes are so small they can only be seen if you really study the wall. Plus, it went much faster with this type of tool. Hammering regular nails would’ve taken so much longer. Originally I’d planned to paint this wall white like the rest of our interior, but I’m loving the natural wood tones so much. For now, I’m leaving it as is. When we install our floors later this week, I’m hoping they don’t clash with the wall. If so, it’ll be easy to paint, but I’m really hoping we can leave it. 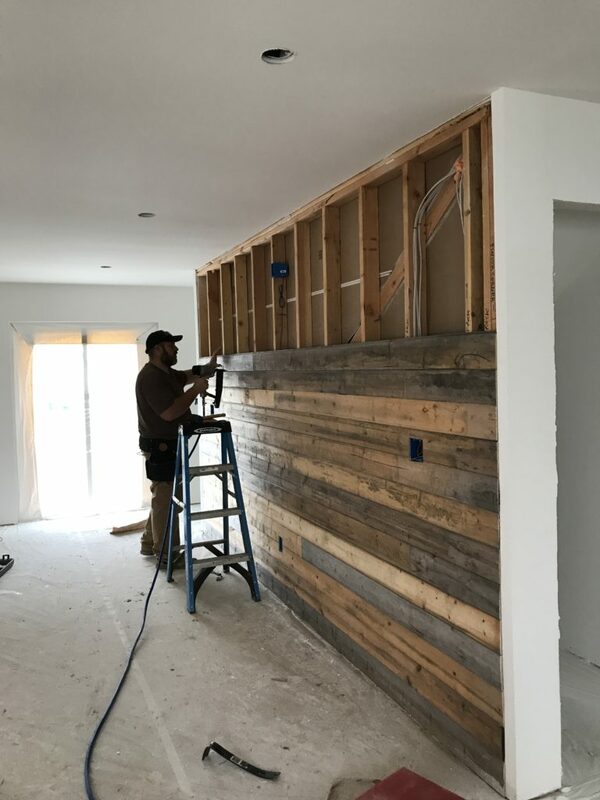 I love how this wall gives our new-construction some old farmhouse character. The next steps for our home are interior and exterior paint, floors, grass planting, garden planning and about 100 other projects! Are there any particular parts of this journey you’d like me to share more about?